The 18th century was well-known for its elaborate embroidery work. Ladies wore intricately quilted petticoats and stomachers covered with floral embroidery, while gentlemen wore exquisitely embroidered and spangled waistcoats and suit coats. 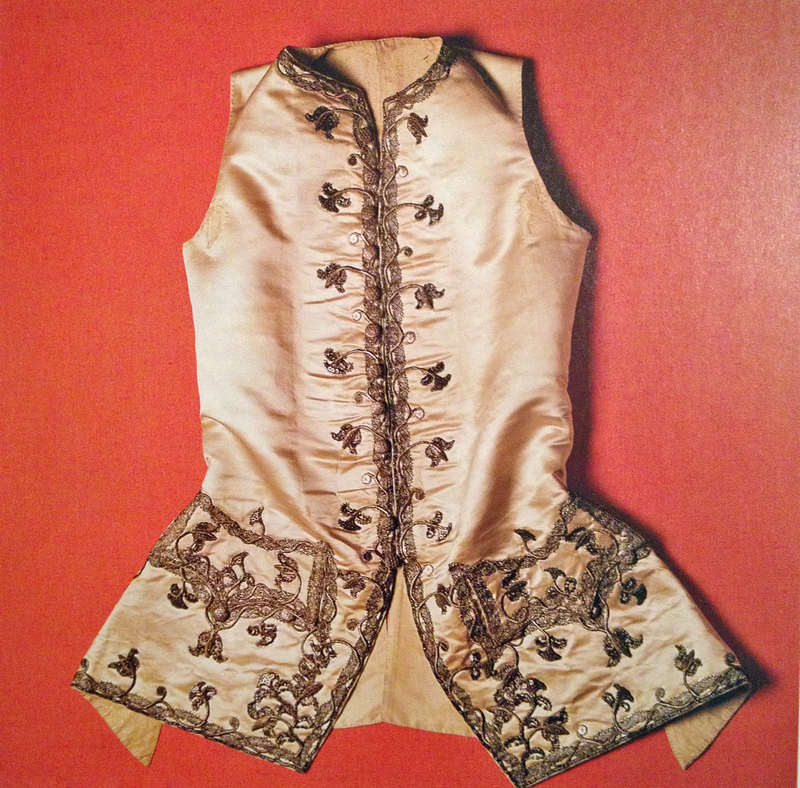 The author of this book goes to original 18th century sources, examining a great many antique garments in order to learn the methods of embellishment used. She discusses how to work with metal thread and spangles, as well as how to do silk embroidery, quilting, whitework, tambour and chain, and crewel work. There are bonus chapters on the lost arts of knotting and Hollie Point. She takes you through the embroidery process step-by-step, beginning with what tools you need, how to copy the pattern onto your fabric, and how to work the style of embroidery you’ve chosen. There’s two appendices, one that discusses fabric and clothing of the 18th century, and another on how to study antique garments properly, so as to preserve them and not cause damage. There’s also a glossary of the sewing terms used, and an index. I love how thorough the author was in writing this book. 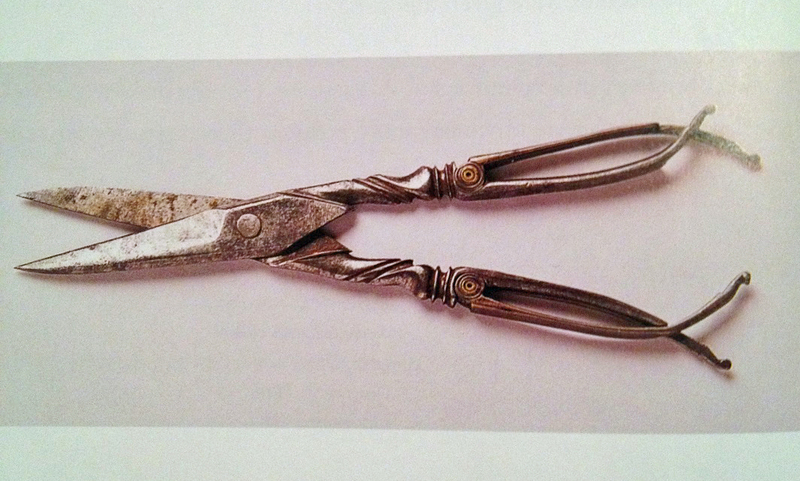 It starts with a discussion of the tools used for embroidery work in the 18th century, such as antique-style scissors, thimbles, needles, bobbins and spools, thread winders, pincushions, embroidery frames, and so forth. Reproductions of many of these items are available today through vendors that sell to reenactors. Once you have your tools, you need to learn the stitches and techniques necessary to this kind of embroidery. 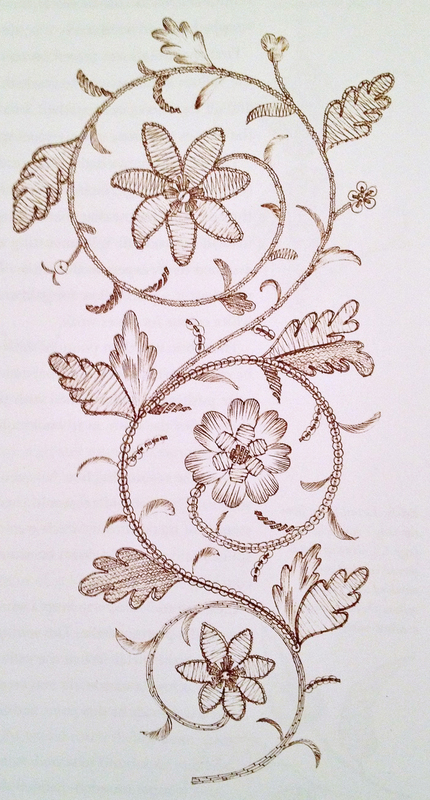 Not only does the author demonstrate a wide variety of embroidery techniques, but she includes detailed sketches and patterns, which serve as both inspiration and guide. These are based upon actual garments (e.g. 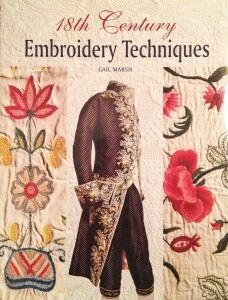 : waistcoats, bonnets, stomachers, and gowns), so if you enjoy recreating 18th century costumes, or sewing replicas of museum garments, you won’t want to miss this book. Most of the drawings include measurements and notes of which stitches were used, so you can accurately copy the embroidery patterns. There isn’t much to dislike about this book. If I had to pick something, it would be that the photographs of the antique garments are occasionally smaller than I would have liked. But this is a minor complaint, indeed. 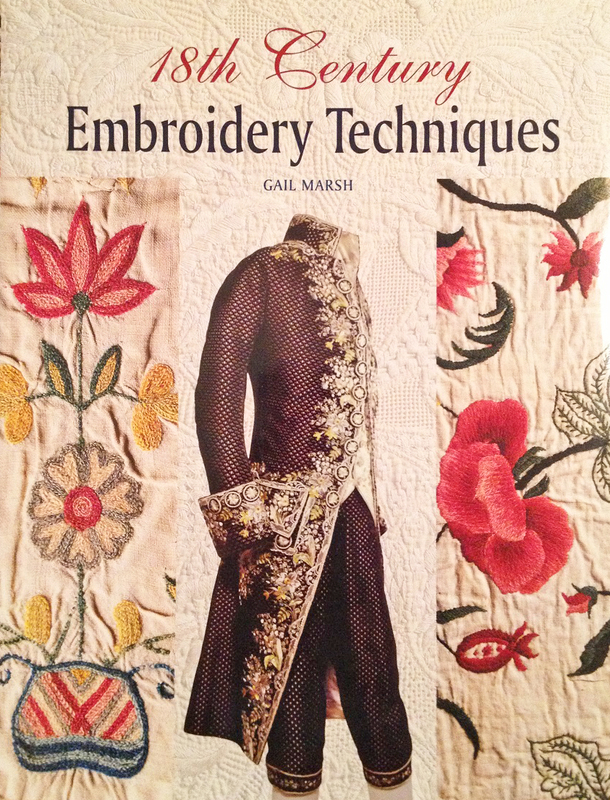 This book is a treasure, not just for historical reenactors and costumiers, but also for those who enjoy needlework and wish to learn more about the history of their hobby. 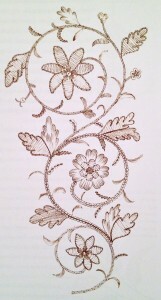 Just as a side note, the author has written two additional books, which detail embroidery techniques of the nineteenth century and the early twentieth century. I haven’t read either of them, but they are on my wishlist. This entry was posted in Thursday's Book Reviews and tagged 18th Century, Book Review, Embellishment, Thursday. Bookmark the permalink. Great informations on embroidery history. Thanks for post!